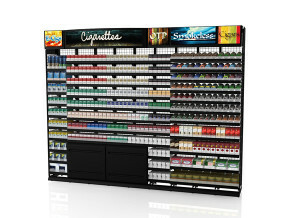 Whether you are looking to learn more about our Tobacco Fixtures, download product sheets, read testimonials, or view images of our Tobacco Fixture displays, you have come to the right place. 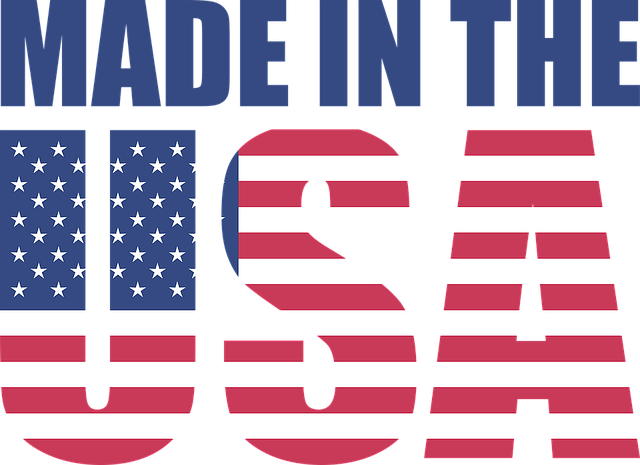 Our video library contains instructions videos, and product showcases. The second generation of Flex Frame has been designed and developed with a focus on flexibility and product density. Accessories include a variety of header options, finished end panels, storage doors and security doors. 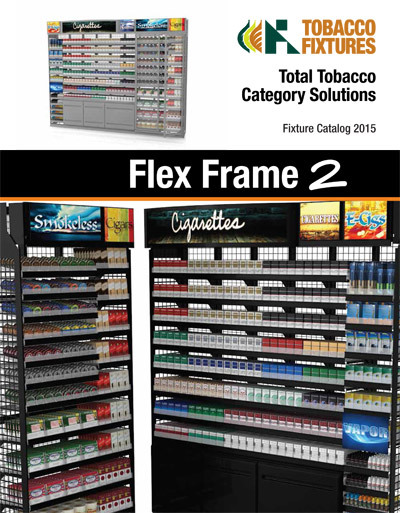 Flex Frame 2 is the most flexible retail experience system on the market. “I am respectfully writing to you about my new tobacco merchandising rack. While I was hesitant to spend the money on it, I will never regret a penny. It has enhanced the appearance of my store; it has consolidated all of the tobacco so that it is not a rack here, there and everywhere. My customers have all commented on how great it looks, how sleek and attractive it is and how much light is now let in through the East window. My employees love it and find it so much easier to use. 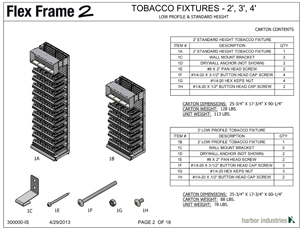 Need an Instruction Sheet for our Tobacco Fixtures? We have an extensive library of Instruction Sheets in our online library.